The World War II provided an impetus to the peripheral nerve research that greatly increased our knowledge of the neurobiological background of nerve injury and repair, from where emerged many remarkable advances in the management and surgical techniques of these devastating injuries. However, despite such technical advancements, even now, a large number of injuries do not recover completely. This may be due to permanent loss of axons or the inability to restore axon-to- axon continuity, and fascicle-to-fascicle apposition is not always possible except in clean-cut transections. Traumatic brachial plexus injuries are devastating injuries and result in socio-economic loss not only to the affected individuals but to the entire family. In the past, the results of brachial plexus surgery were so disappointing that conservative treatment was most often offered to these patients. But, in recent years, a lot has been written in literature, and there have been continuous advancements in the management of these injuries. I had an opportunity to assist Prof. M Samii, in a case of traumatic brachial plexus injury during a demonstrative surgery at AIIMS in 1982. The patient was a case of pan brachial plexus injury and presented to us after 3 months of injury. The patient was taken up for surgical exploration and the intraoperative findings suggested a psuedomeningocele and hence the patient was opened and closed. However, after his visit to the institute, on the suggestion of Prof.PN Tandon and Prof. A K Banerji, to develop an interest in this sub-speciality, I started looking for pateints with brachial plexus injuries. We were able to operate on five cases during the first three years after that, and 25 cases in further five years. This data was presented as an award paper, at the Annual Meeting of the Neurological Society of India at Madurai (1985), and was bestowed with the gold medal for the best paper in the category. Fortunately, most of these cases had shown good results. This laid the foundation for development of brachial plexus surgical services at the institute. In 1989, a series of 100 brachial plexus cases was presented during the World feberation of Neurosurgical Societies (WFNS) meeting, held at New Delhi. The same series was published in the British Journal of Neurosurgery. The number of brachial plexus injury cases, thereafter, kept on steadily increasing, and when I left AIIMS in 2006, approximately 100-120 cases were being operated every year. Extreme patience has to be exercised by the treating surgeon who is awaiting the results of this surgery. A good outcome is also dependent on a lot of effort by the patient who has to undergo aggressive physiotherapy, as good results do not appear immediately after surgery. It is for the same reason that young neurosurgeons are not willing to take up this speciality as their field of interest; however, some of them who showed their keen interest in this specialty in my department were Dr. PS Chandra, Dr. Sandeep Vaishya, Dr. Aditya Gupta, Dr. Manish Singh Sharma, Dr. Deepak Agarwal and Dr. Sumit Sinha. 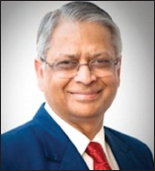 Prof Chandra developed endoscopic surgery for carpal tunnel syndrome. Dr. Sandeep Vaishya developed his indigenous technique of sensory neurotization, with the aim of providing a sensate limb after surgery. The achievement of a sensate limb is quite a difficult task in brachial plexus surgery, and yet an important one. It is often a difficult task to achieve because of the relative paucity of sensations and the fragile nature of sensory fascicles. Dr. Sandeep Vaish operated on quite a number of cases during this period and achieved good sensory and motor outcome in his cases. Dr, Manish Singh Sharma has his dissertation topic on brachial plexus injuries. He published his experience with late surgery in partial plexus injuries and this article was published in 'Neurosurgery' and is well cited. Dr. Deepak Agarwal took up the treatment of causalgic pain after pan-plexus injury and developed his indigenous non-coagulation technique of creating the dorsal root entry zone (DREZ) lesion by a micro-scissor, with excellent results. Another of my students, Dr. Sumit Sinha took brachial plexus surgery a step further and formed a society- Indian society of peripheral nerve surgery (ISPNS), conducted a World Congress on Nerve Surgery in 2016, contributed articles in literature, and wrote a textbook on brachial plexus injuries.,, The Indian Society of Peripheral Nerve Surgery started as a small collaboration between the plastic surgeons, hand surgeons and neurosurgeons in 2011, at the brachial plexus meeting, held in March 2011, at AIIMS, organised under the chairmanship of Prof. AK Mahapatra, than Chair, Department of Neurosurgery. It was Prof. Mahapatra's initiative to encourage Dr. Sumit Sinha to take steps to form a nationwide society of peripheral nerve surgeons, a first of its kind in the nation. The society has now 200 members, holds annual meetings and has its official bi-annual publication named the 'Journal of Peripheral Nerve Surgery (JPNS)'. The start of Jai Prakash Narayan Apex (JPNA) Trauma Center at AIIMS in July 2007 was a boon for patients with brachial plexus surgery and Dr. Sumit Sinha operated the first case of brachial plexus injury on the first inaugural day of the trauma center. The waiting list of brachial plexus injury patients shrunk because of more availability of operation theatres at the Trauma Center and 120-130 cases, on an average, were being operated at the Trauma Center during that period. Presently, all the faculty members in the department operate upon patients with brachial plexus injuries and are proficiently trained to perform such operations. Training holds an important place in the development of a speciality in any institute. The importance of establishing training laboratories at AIIMS has been well recognised from the very beginning, and various steps have been taken to accomplish this goal. As a pioneering endeavour, the microsurgery lab was first started in the country at AIIMS by the initiation of Prof. AK Banerji, wherein a training program of two weeks in microsurgical suturing of sciatic nerve and carotid artery in rats was regularly practiced by the trainees. Many senior and young neurosurgeons took the training in the laboratory, which was mainly managed by me. Later on, this laboratory was upgraded into a modern state-of-art training skills laboratory by the efforts of Dr. Ashish Suri. In 2011, Dr. Sumit Sinha established the Cadaver Training and Research Facility (CTRF) at JPNA trauma Center, with the help of a generous grant-in-aid from Indian Council of Medical Research. CTRF was conducting approximately 40 courses annually and trained a total of 1500 delegates in various specialties, at the time when Dr. Sinha left AIIMS in 2017. The brachial plexus courses were regularly held at CTRF, for the residents and delegates from across the country to achieve the goal of training in this specialty. A fellowship program has been started by the ISPNS in 2016 at AIIMS, with the aim of imparting training to fellows in the field. The fellowship program is still continuing and till now, 6 fellows have been trained from various parts of the country and abroad. To conclude, traumatic brachial plexus injuries are very common injuries and mainly affect the young population in the productive periods of their lives. These injuries have been operated for over a period of last four decades at AIIMS. The Department of Neurosurgery has a significant contribution in the training and development of this subspecialty of neurosurgery in the country. I urge the young trainee neurosurgeons to build upon this legacy and take up this specialty more enthusiastically, so that it does not become a fading sub-specialty of neurosurgery, and before we lose it over to other specialties like plastic and hand surgery. Wilkinson MC, Birch R, Bonney G. Brachial plexus injury: When to amputate? Injury 1993;24:603-5. Seddon HJ. Nerve Grafting. J Bone Joint Surg Br 1963;45:447-61. Millesi H. Brachial plexus injuries in adults. Orthopade 1997;26:590-8. Tamura K. The funicular pattern of Japanese peripheral nerves. Nihon Geka Hokan 1969;38:35-58. Samii M. Nerve transfer. J Neurosurg 2000;92:1068-9. Tender GC, Kline DG. Anterior supraclavicular approach to the brachial plexus. Neurosurgery 2006;58 (4 Suppl 2):ONS-360-5. Doi K, Kuwata N, Muramatsu K, Hottori Y, Kawai S. Double muscle transfer for upper extremity reconstruction following complete avulsion of the brachial plexus. Hand Clin 1999;15:757-67. Sedel L. Repair of severe traction lesions of the brachial plexus. Clin Orthop Relat Res 1988;237:62-6. Mehta VS, Banerji AK, Verma A. Delayed Injection injury of axillary nerve and case report. Neurol India 1988;36:105-8. Mehta VS, Banerji AK, Verma A. Surgical repair of brachial plexus injuries. Neurol India 1989;37:39-49. Tanwar RK, Dey S, Ramesh R, Kumar R, Mehta VS, Rath GK. Neurofibroma of brachial plexus: A case report. J Clin Radiother Oncol 1992;7:40-42. Gopinath MS, Batra M, Mehta VS. Obstetric brachial plexus palsy. A clinical and electrophysiological evaluation. JAPI 2002;50:1121-23. Mehta VS, Banerji K, Tripathi RP. Surgical treatment of brachial plexus injuries. Br J Neurosurg 1993;7:491-500. Mehta VS. Peripheral nerve injuries. In: Ramamurthi B, Tandon PN (Eds). Textbook of Neurosurgery, 2nd edition, Vol 1. New Delhi: BI Churchill Livingstone; 1996. pp. 419-36. 25. Mehta VS, Chandra PS. Traumatic nerve injuries. CME book of Indian Academy of Neurology 1999. Mehta VS, Vaishya S. Clinical decision making in brachial plexus injuries. In: Singh AK (Editor). Indian Clinical Neurosurgery Vol I. New Delhi: CBS publishers and distribution 2001:347. Mehta VS, Chandra PS. Rhizotomies as peripheral neurectomies for pain relief. Ramamurthi R, Sridhar K, Vasudevan MC (Editors) Textbook of Operative Neurosurgery Vol II 2005 pp 679-89. Mehta V S, Vaishya S. Management of brachial plexus injuries. In: Ramamurthi R, Sridhar K, Vasudevan MC (Editors). Textbook of Operative Neurosurgery. Mumbai: BI Publications. Vol II: 200 pp765-74. Chandra PS, Singh PK, Goyal V, Chauhan AK, Thakkur N, Tripathi M. Early versus delayed endoscopic surgery for carpal tunnel syndrome: Prospective randomized study. World Neurosurg 2013;79:767-72. Sedain G, Sharma MS, Sharma BS. Outcome after delayed Oberlin transfer in brachial plexus injury. Neurosurgery 2011;69:822-8. Sinha S, Kahni M, Mansoori N, Midha R. Adult brachial plexus injuries: Surgical strategies and approaches. Neurol India 2016: 64:289-96. Sinha S, Pemmaiah D, Midha R. Management of brachial plexus injuries in adults: Clinical evaluation and diagnosis. Neurol India 2015; 63:918-25. Gupta RK, Mehta VS, Banerji AK, Jean RK. MR evaluation of brachial plexus injuries. Neuroradiology 1989;31:377-381. Upadhyaya V, Divya Narain Upadhyaya DN. Current status of MR neurography in evaluating patients with brachial plexopathy. Neurol India 2019;67:S118-24.